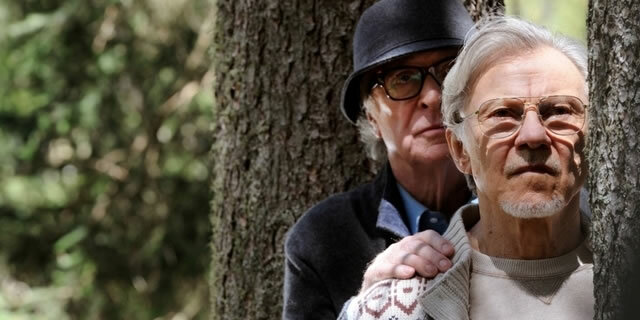 Paolo Sorrentino is heading to Cannes with his newest film Youth (La giovinezza) and it certainly is getting its fair share of marketing along the way thanks in large part to a May 21 release date in Italy as a second trailer has arrived today. The film has yet to be picked up for domestic release, but I expect all that to change after its Cannes premiere. The film centers on Fred and Mick, two old friends on vacation in an elegant hotel at the foot of the Alps. Fred (Michael Caine), a composer and conductor, is now retired. Mick (Paul Dano), a film director, is still working. They look with curiosity and tenderness on their children’s confused lives, Mick’s enthusiastic young writers, and the other hotel guests. While Mick scrambles to finish the screenplay for what he imagines will be his last important film, Fred has no intention of resuming his musical career. But someone wants at all costs to hear him conduct again. The film co-stars Rachel Weisz, Jane Fonda, Harvey Keitel, Tom Lipinski and Ed Stoppard, which is to say Sorrentino has assembled an impressive ensemble for his The Great Beauty followup. Give this second trailer a watch below.